“Hollywood Speaks Out explores that rare Hollywood feature that dared to tackle red-hot, social issues whilst American society was gripped by the convulsion and controversy they generated. I am interested in reading this book because I grew up in the 1960’s when there was a fight for Civil Rights, the protest against the War in Vietnam, the fight for Women’s Rights, the fight against McCarthyism and the Red Scare, and the Chicago Daley Machine were some of the biggest controversies of that time. I wish more films were made to expose the injustices that prevailed then and which, paralyzed the American people, including my family. Apparently these books speak to those issues. If anyone has read this book, I would be interested in hearing your thoughts. I remember growing up watching the Film Critics Gene Siskel and Roger Ebert . They had film columns in the Chicago newspapers and on the program At the Movies that criticised films. They branded the ideas of two thumbs up for both of them liking a film. Of course there was two thumbs down, for both disliking the film. Then there was one thumb up and one thumb down for a split decision on what they thought of a film. 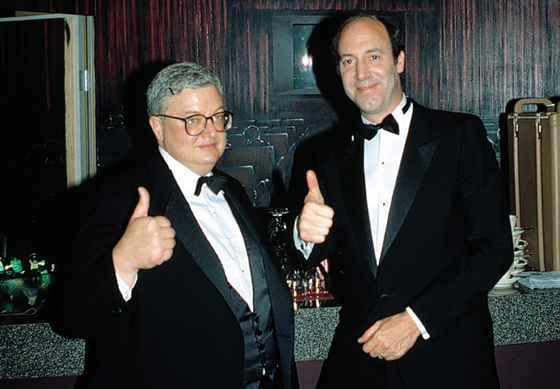 Siskel and Ebert had a way of criticising a film and one another’s viewpoints while toying with one another. Somehow this was all done without each of them getting too nasty. They were very entertaining. There really hasn’t been a duo that can match Siskel and Eberts capability to criticize a film on television, radio and newspaper. Check out video result of Siskel and Ebert. Also, check out Siskel and Ebert top ten choices for 1969-1998. To find out about film ratings and opinions on films my family uses the websites IMDB and Rotten Tomatoes. The books we use are Leonard Maltin yearly Movie Guides. A very good book to peruse is 1001 Movies You must see before you Die by Steven Jay Schneider. Another one this author came out with is 501 Movie Directors: A Comprehensive Guide to the Greatest Filmmakers. Before we watch a film my family and I like to make sure the film is interesting, it has decent ratings (though we keep in mind we may have different tastes in film) and that it has either interesting actors or directors. If any one has additional sources of information on films, please let me know. I always thought it must be rather difficult to make books into films. Mostly it has to be hard to translate or grasp an author’s style, flavor, or their characters. Not only that, but you have to capture one’s imagination that comes with the reading of that particular book. Many films rewrite a novel’s intent, but few can be praised for being true to the book. Books brought to film are listed at the previously highlighted text, so I will not post them again here. It is an amazing list. Penguin books has numerous books available which have been made into films. It is a very long and interesting list. Books you should read before seeing the film according to the Geeks of Doom website. My favorites are Pride and Prejudice, Jane Austin, Heart of Darkness (Apocalypse Now) Joseph Conrad, Harry Potter books J.K. Rowling (some but not all) and James and the Giant Peach and most of Roald Dahl’s children’s books. My list could go on and on, but if you look at the sites I suggested you may find one you are interested in reading, and watching the film. Sometimes there is an argument as to whether or not one should read the book first before watching the film. I would say it depends on the book and the film. For me I never really like to see the film until I have read the book. However, that all changed with the film Lord of the Rings. I watched the film series and loved it. After the first film in the series my son gave me the book. I was happy to say the film had not ruined the book for me. If anything, it made it a richer and more magnificent reading. Perhaps the best idea is to go with your gut feeling about which to do first. You can even experiment and read a book and then watch a film, then reverse the order to see which way you like the best. If anyone has a chance to see the series Damages, with Glenn Close, William Hurt et al., you will be totally amazed. It is riveting, seductive, and just plain fantastic. It has an easy to follow complex plot. 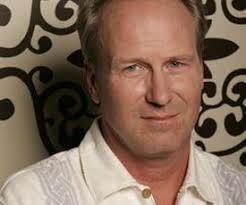 Glenn Close William Hurt However, you must start at the beginning of the series, or you may be lost forever. It is well worth seeking the entire two seasons that are available thus far. I may be wrong though, the beginning of the third season may also be available. 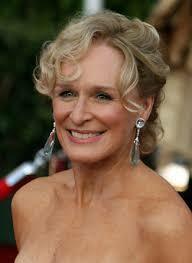 It is basically about a corrupt law firm run by a highly intelligent and ruthless person, Glenn Close. She really is Crulla De Ville times a million. Flashforward is a new one for me. I would have liked to have started at the beginning of this series. I hope to catch up on them one day. CSI is one of my favorite shows. It always seems to renew itself just when you thought all was said and done. Law and Order is also one of my favorites. I actually like them all. 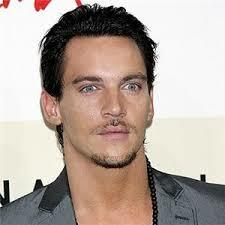 The Tudors is outstanding. It makes you wonder why someone didn’t stop King Henry the Eighth in his terror ridden path. House is uber intelligent, and messes with peoples’ minds all at the same time he messes with his own. It is a thought-provoking show like Damages. Entourage is outrageously funny. I watched this for some time, but have put it aside lately for other shows that are more alluring to me. I also love PBS shows such as Masterpiece, Masterpiece Contemporary, and Nova. These shows round out my television viewing. I did a Wiki for my Social Media class at McMaster University Centre for Continuing Education. Our class is being taught by Martin Waxman. My partners in this adventure were Giselle, Suad, and Jotsna. We looked for a topic we all were interested in, as well as any poignant ones. Because each of us is from a different country and background, we thought it best to focus on Social Commentary and Film from our individual countries. What came out of this was a fun, highly educational, and introspective Wiki. You can find our Wiki on Social Commentary and Film hosted by Wetpaint.